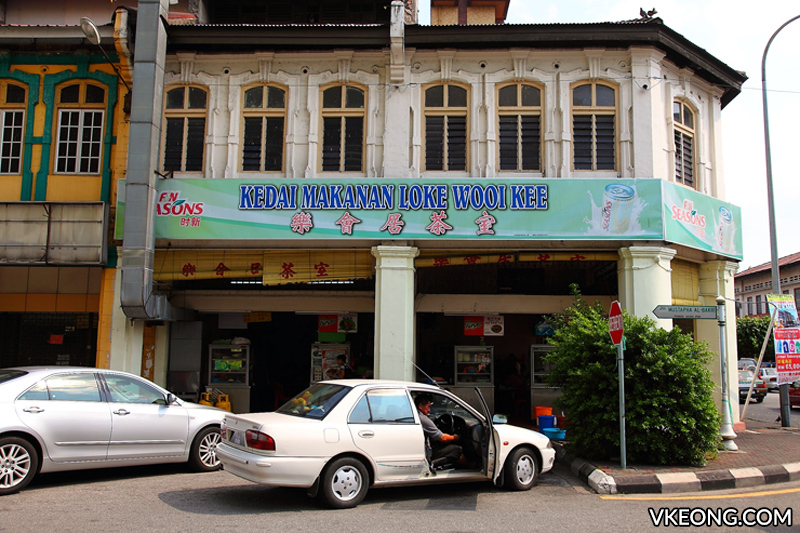 Do you know that Lonely Planet recently listed Ipoh as one of the best Asian destinations to visit in 2016? 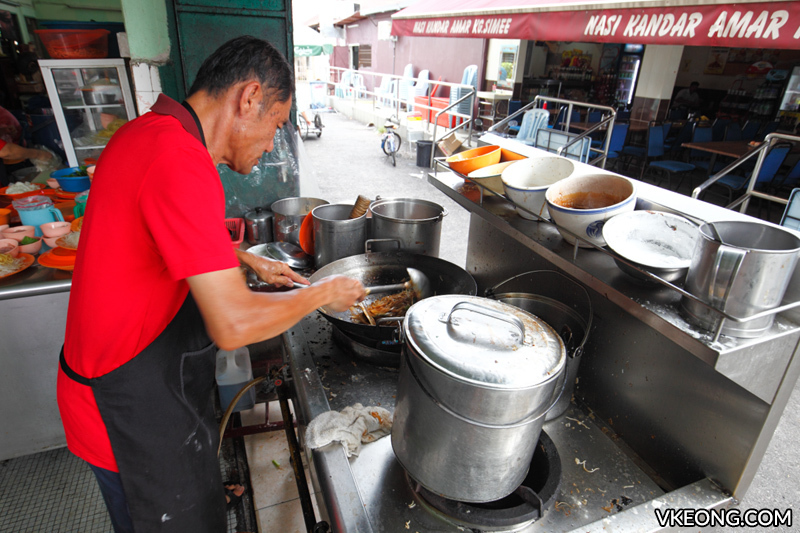 It’s high time that Ipoh finally gets the recognition it truly deserves. 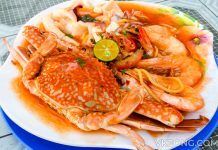 Eating is probably the best activity to do in the city – and boy there are plenty of Ipoh food to eat. 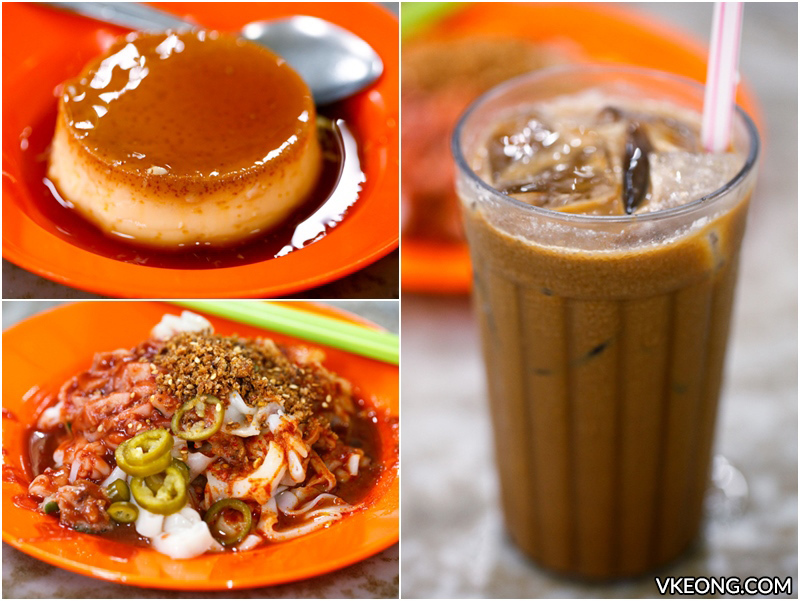 Bean sprout chicken rice, ‘kai see hor fun’, egg tarts, white coffee, hakka mee, curry mee, ABC, caramel custard, yong tau fu and the list goes on. 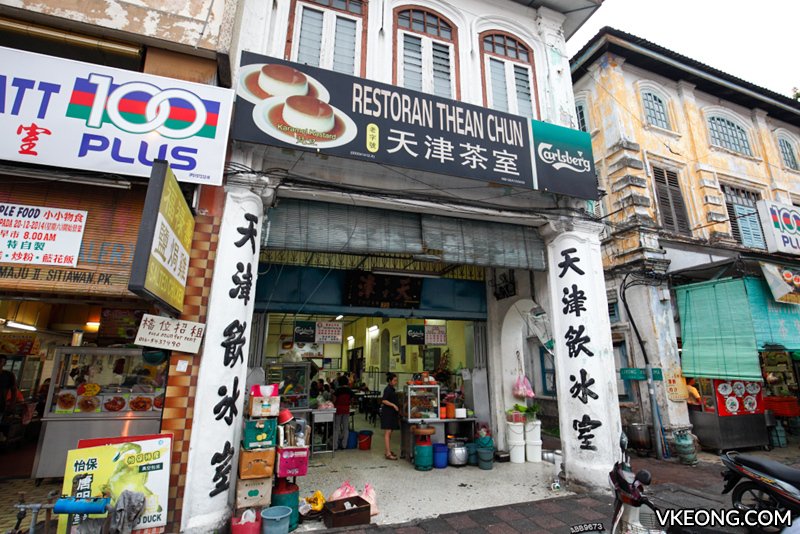 If you are visiting Ipoh for a ‘makan trip’ soon, I hope you are going with an empty stomach. 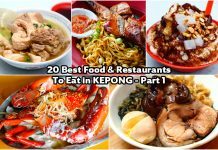 Here’s a list of Ipoh food consisting 20 must-try food stalls, coffee shops and restaurants to get you started. 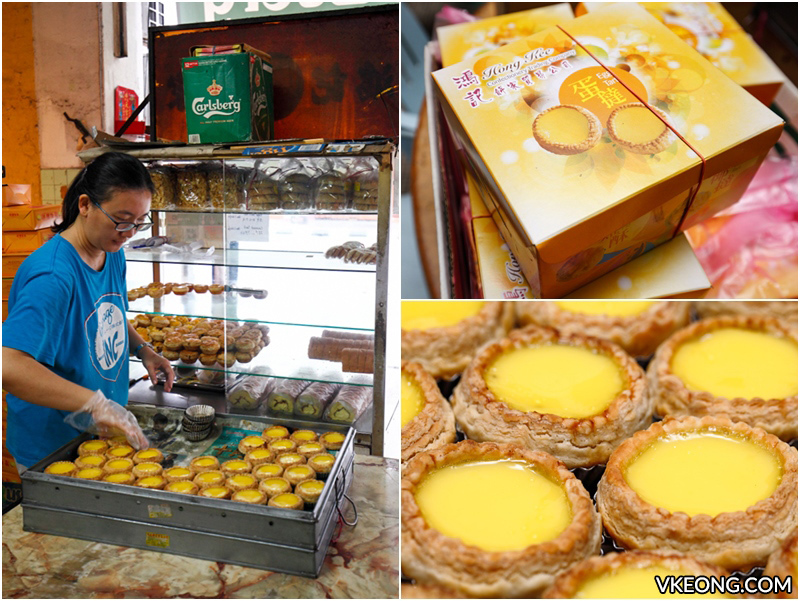 Hong Kee makes one of the best egg tarts in town – known for having a crust with 48 crispy layers. It’s a family run business and they get up as early as 3am to bake their pastries and cakes which are delivered fresh to their stall in Weng Seng coffee shop. 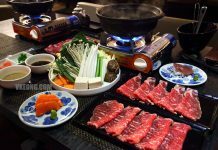 Despite the immense popularity they enjoy, they remain down to earth and friendly towards their loyal customers who have supported them throughout these 40 years. 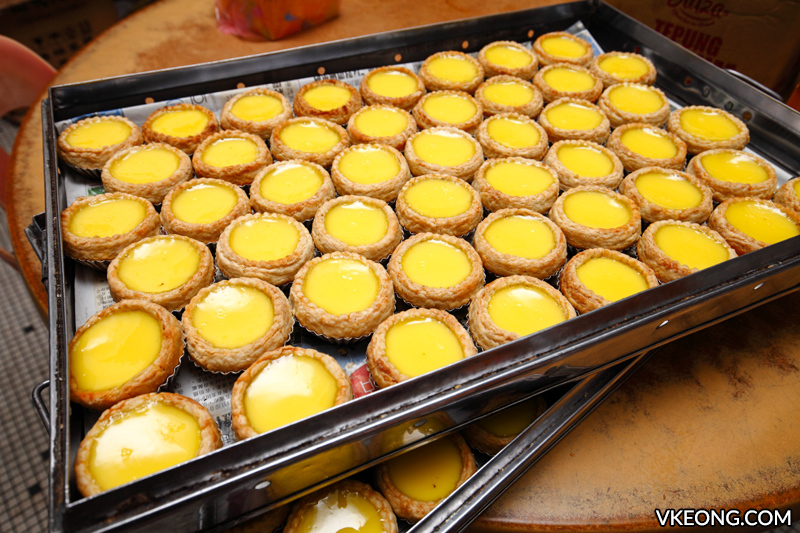 So it’s no wonder they are able to sell more than 1000 pieces/day of egg tarts during weekends and public holidays. Other specialties to try: Swiss Roll and Sachima (萨其马). Come as early as possible to avoid disappointments. 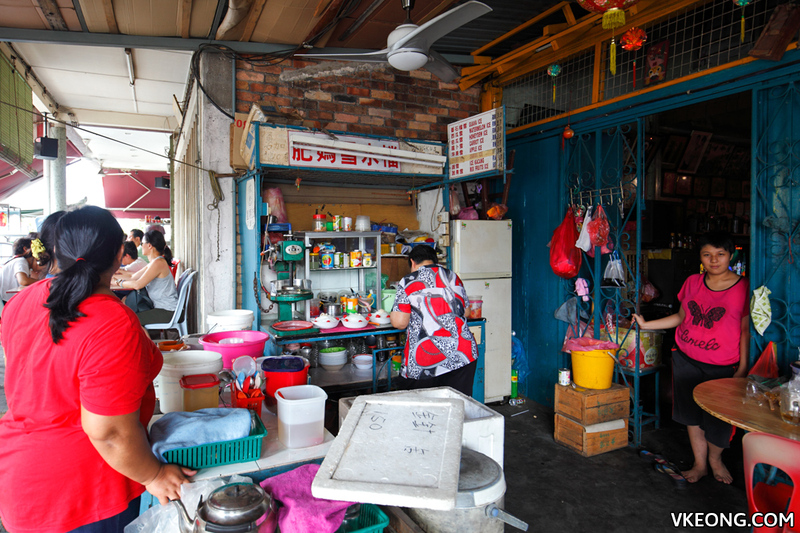 Kampung Simee is a Chinese village dotted with eateries and bakeries. 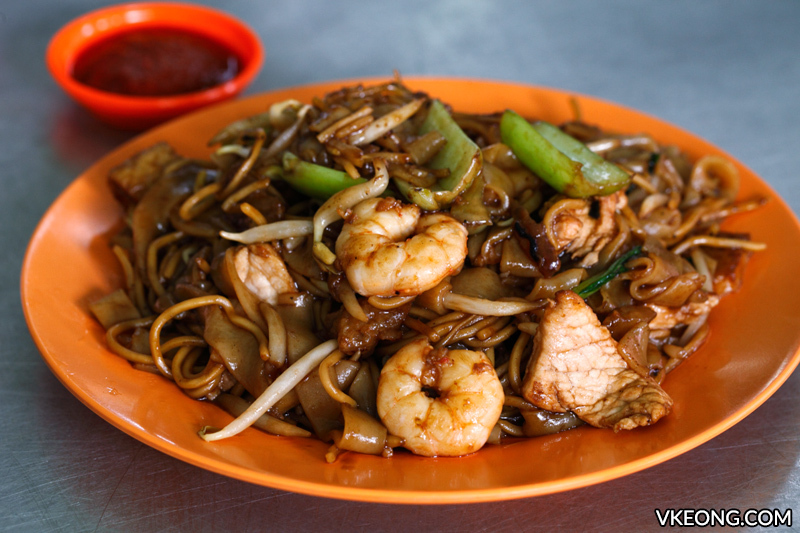 Fook Kee is a hidden gem specializing in fried noodles cooked with prawn stock. 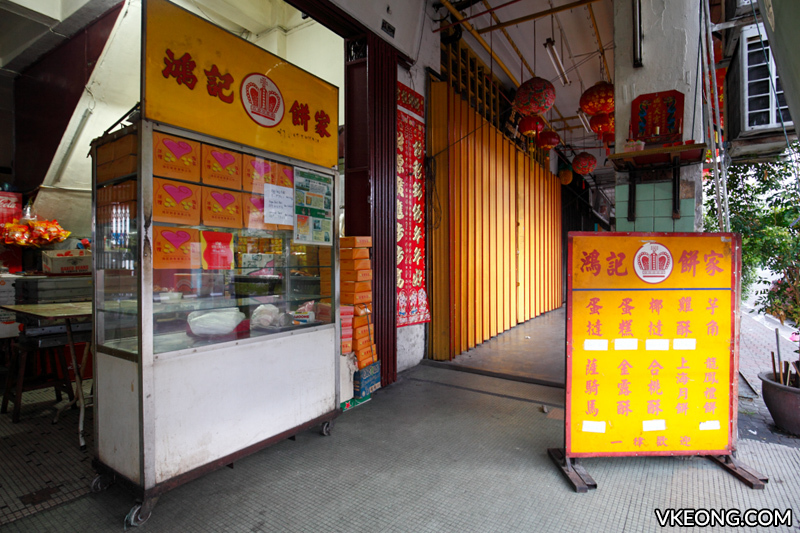 Waiting time could reach 45 minutes or more during peak hours (frequented by locals) so my suggestion is to place your order, then wander off to the nearby bakeries to shop for biscuits or enjoy a bowl of ABC at Fei Ma’s stall first. 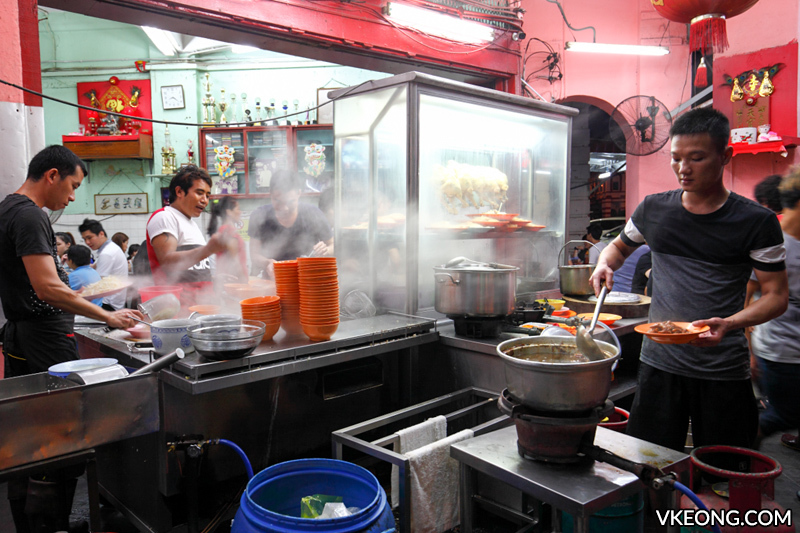 By the time you return, your fried noodles should be ready within minutes. 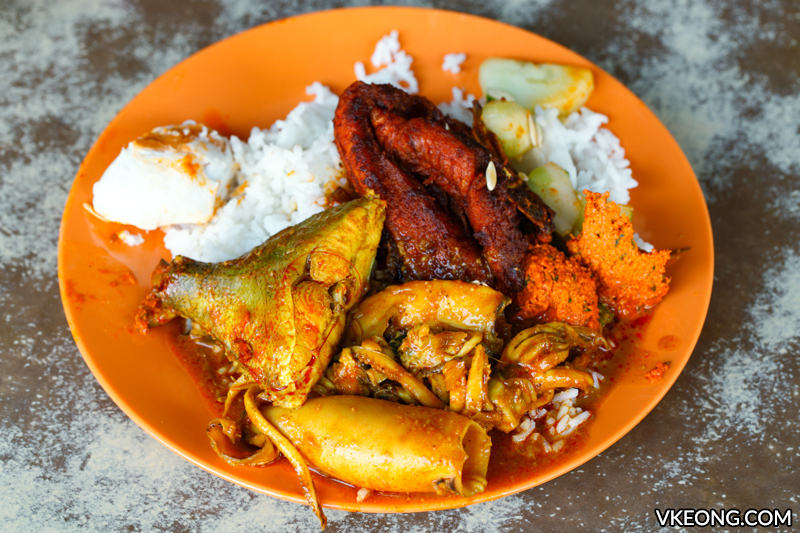 Also known as ‘nasi ganja’ due to its addictiveness, the nasi kandar stall operating from Yong Suan coffee shop is inarguably the most popular in Ipoh. Don’t be put off by the long queue of customers, as they are only taking away. 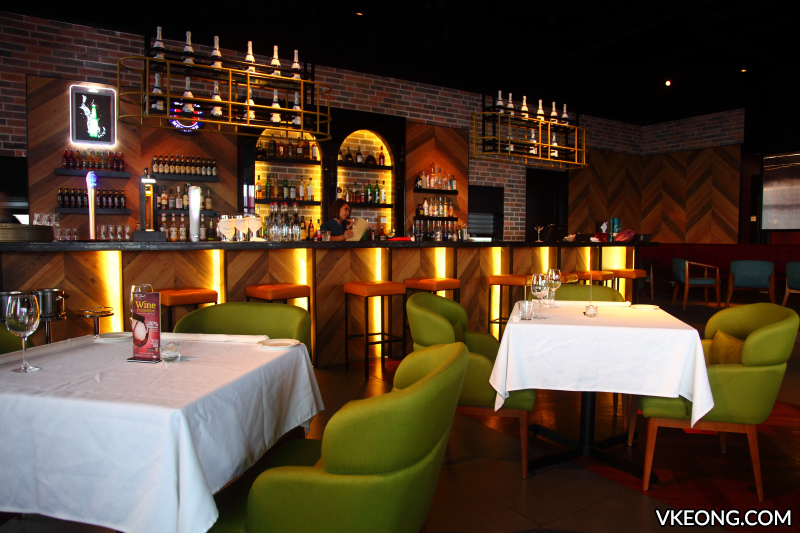 For those who are planning to eat in, proceed to take a seat and you can order from the friendly waiters directly. 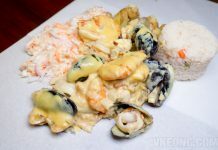 Just tell them what dishes you fancy – either served separately or on your rice flooded with a mix of curry gravies. I prefer the latter. 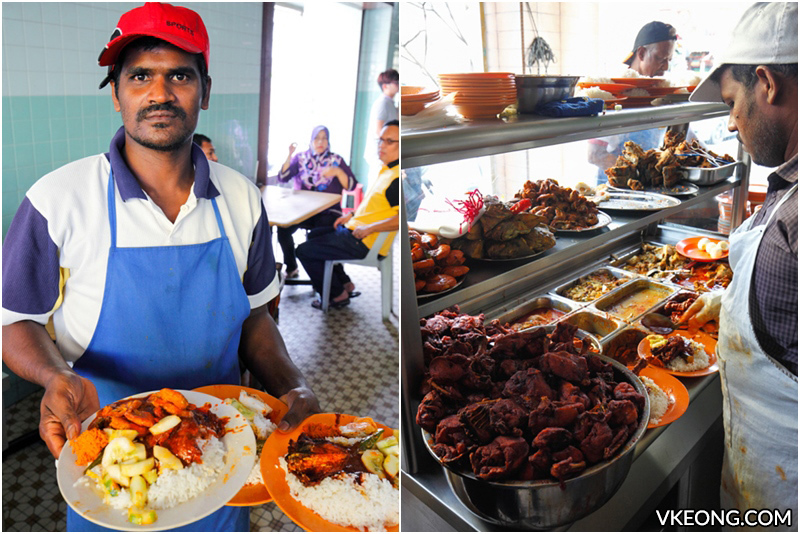 To give you an idea of their reasonable pricing, it’s RM16 for a plate with ayam goreng merah, fish curry, squid curry, salted egg, okra and a dollop of their signature mint chutney. 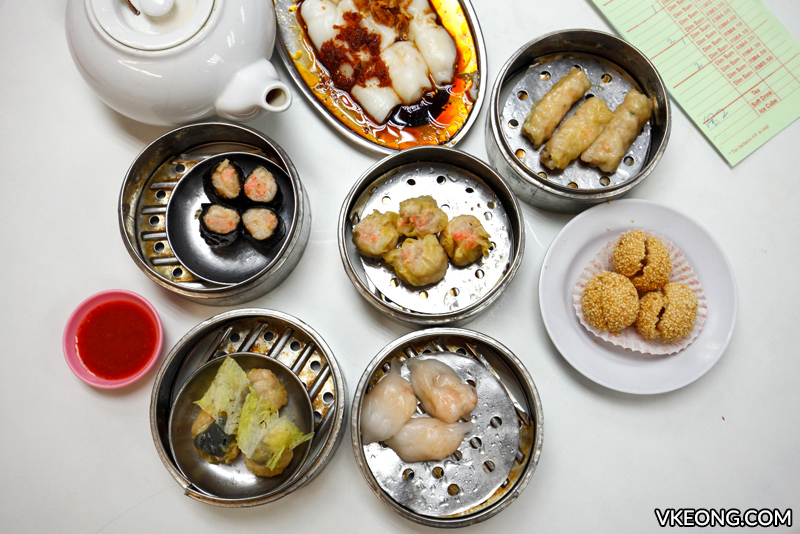 When it comes to dim sum, Ming Court is the prime choice for anyone who is Ipoh-mali. 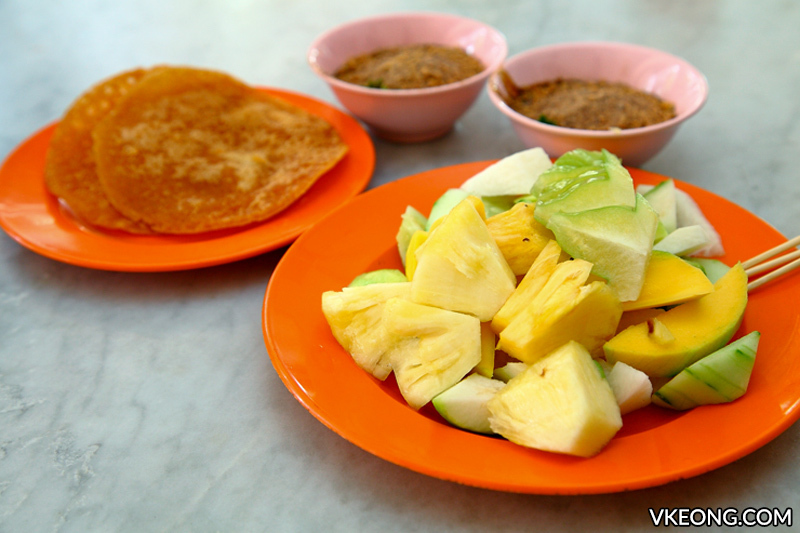 Recommended to reach before 7am to avoid the crowd for a more relaxed breakfast experience. 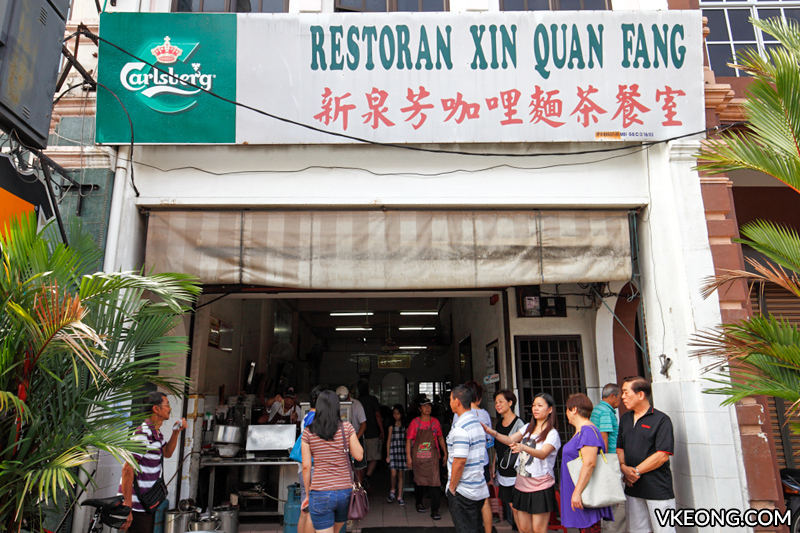 Xin Quan Fang, fondly known as ‘ma ta liu curry mee’ to locals churns out some of the best Hainanese curry mee and bean sprouts in town. 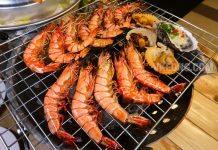 Get all the side dishes which include a combination of roast pork, prawns, char siew, stewed pork served in a separate bowl. They tend to sell out earlier than the official closing time, so morning is the best time to drop by. 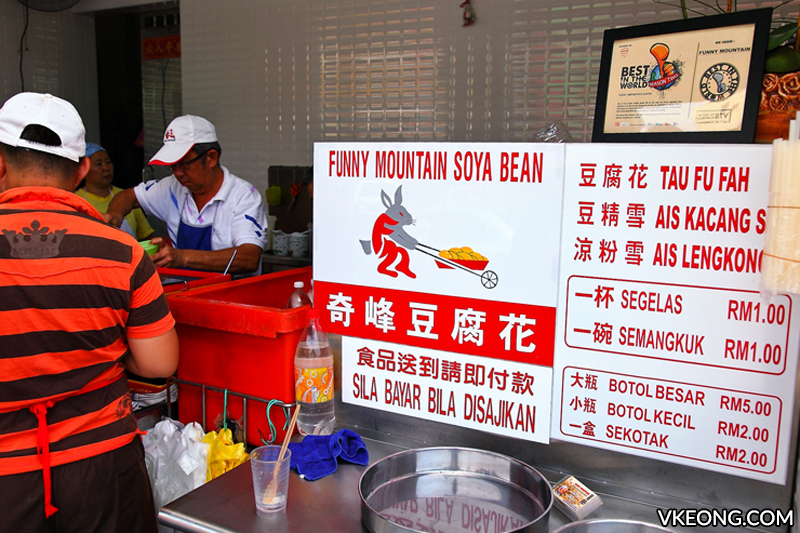 Funny Mountain’s tau fu fah and soya bean milk enjoy a legendary status in Ipoh. 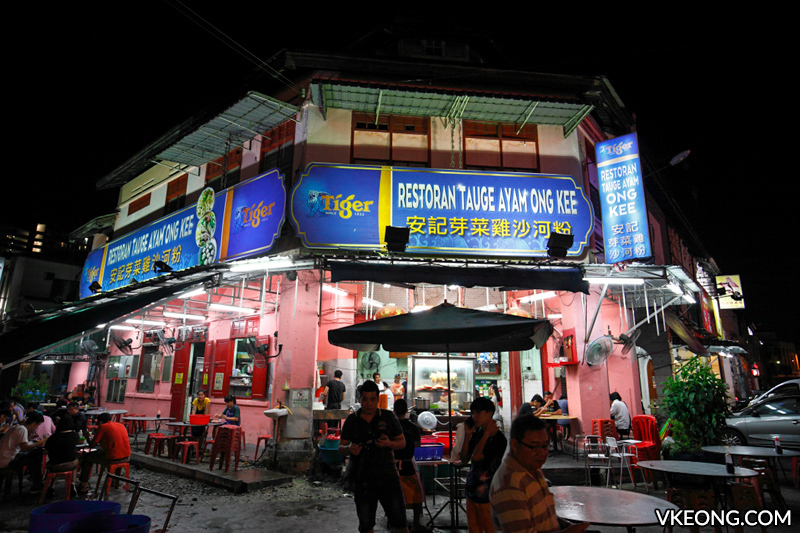 A first timer’s trip to Ipoh would have been vain without trying the silky smooth and refreshing tau fu fah, guaranteed to redefine your view of this ubiquitous dessert. 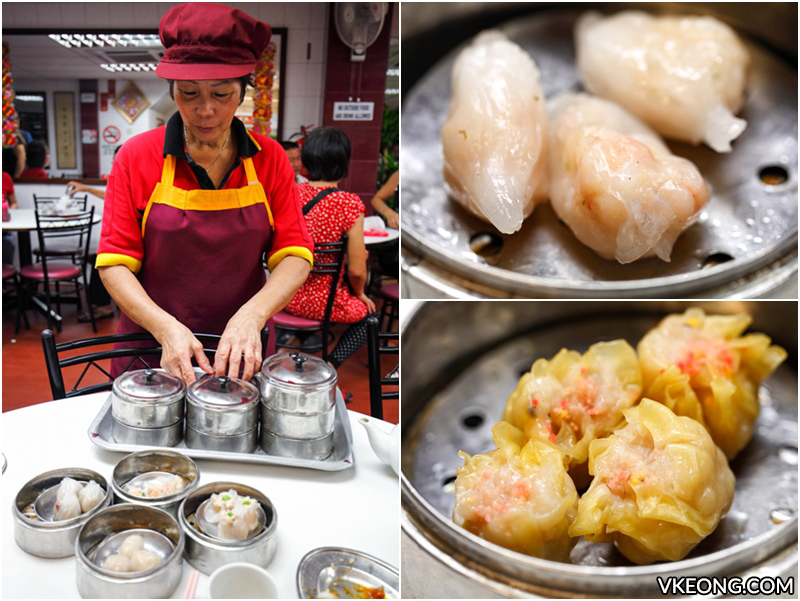 Also known as ‘Dai Shu Keok’ yong tau fu, Choong Kee operates like a mini factory constantly churning out freshly fried items which you can enjoy with koay teow soup or asam laksa. 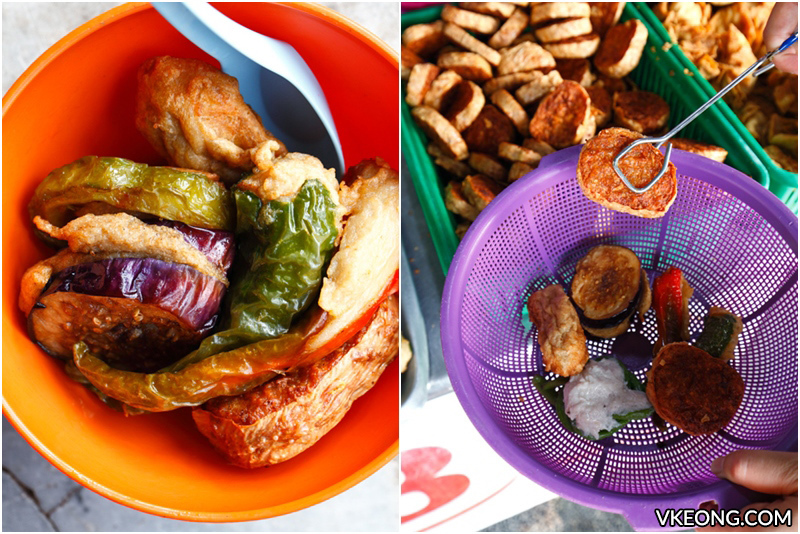 Fried turnip is a must-try here, as you can’t find it easily at other yong tau fu stalls outside Ipoh. 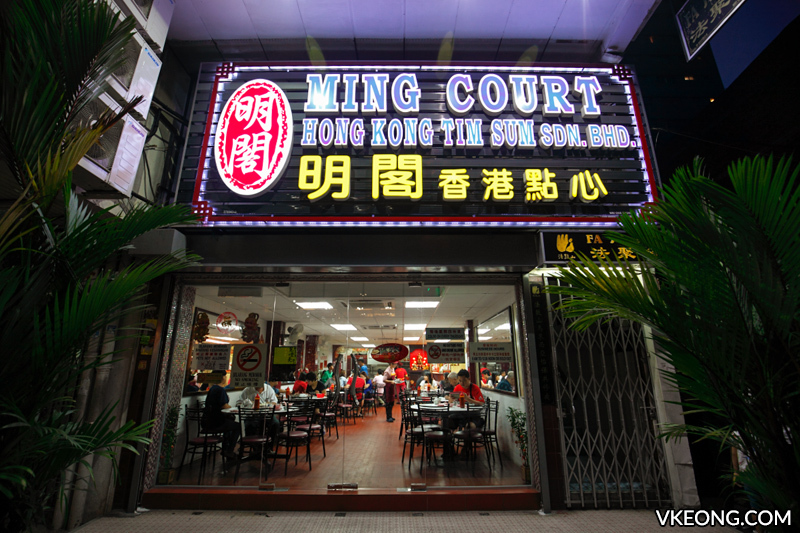 ‘Halls of Mirros’ is another name for Thean Chun – coined after the large mirrors hanging on the coffee shop’s wall. 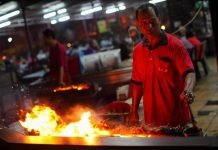 Their staple offerings you shouldn’t miss include caramel custard, chee cheong fun, ‘kai see hor fun’ and pork satay – the last being a rare sight in Ipoh nowadays. 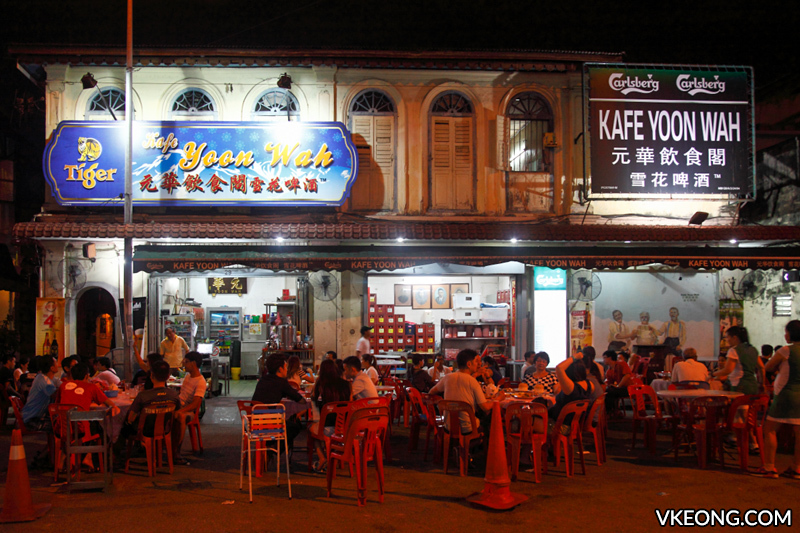 One of the most happening eating places in Ipoh after the sun sets. 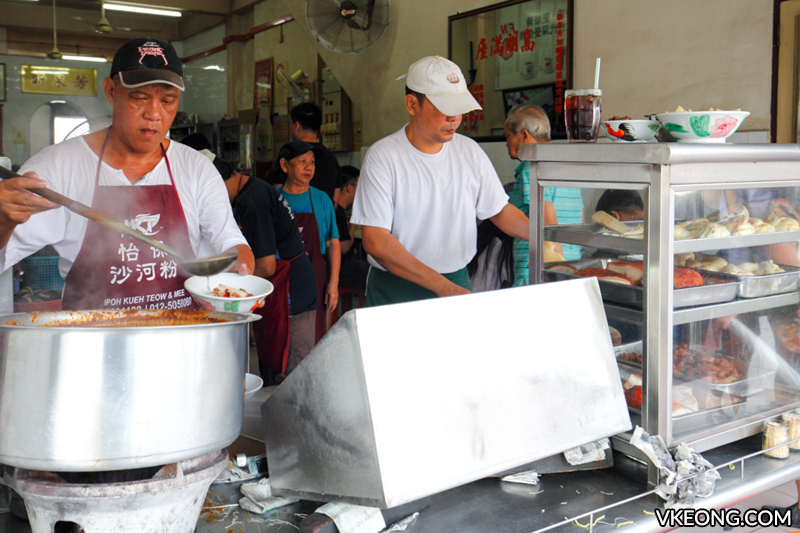 ‘Tong Sui Kai‘ is lined with dozens of food stalls mostly selling desserts (hence the name), snacks like rojak, boiled cockles and various noodles. 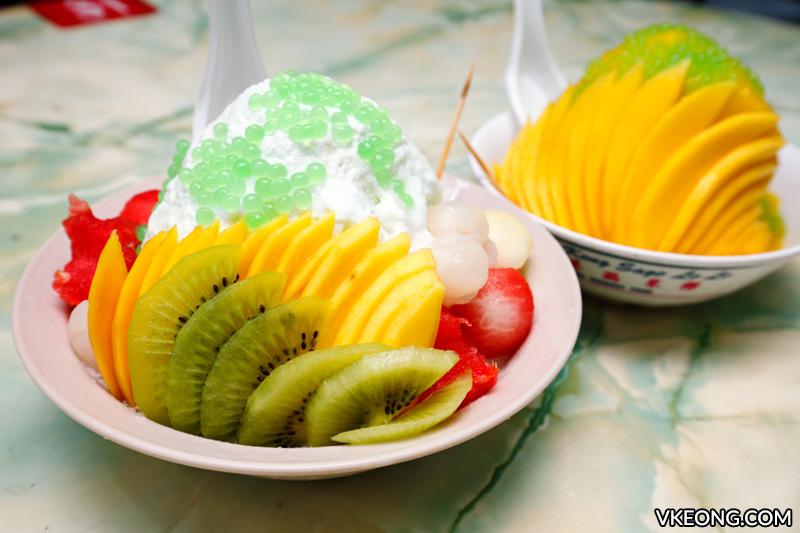 Every stall has their own unique rendition and presentation of Ipoh’s famed mixed fruits ABC, so there’s always a reason to revisit this bustling street. 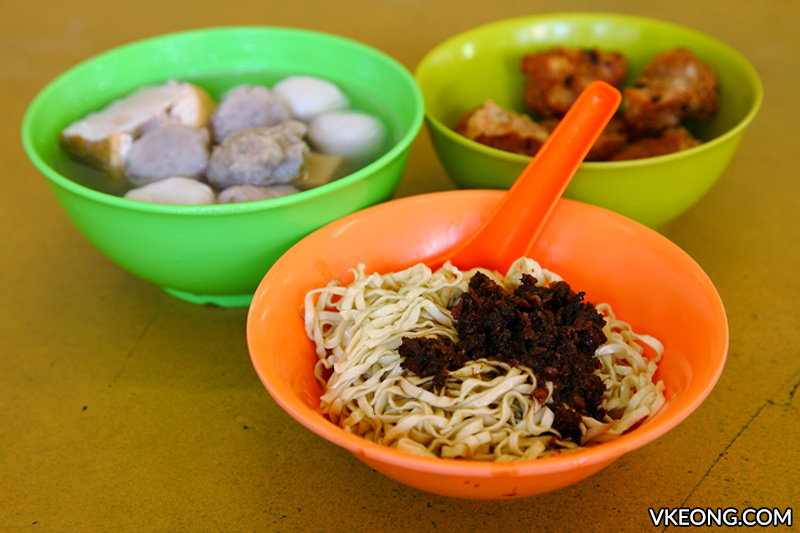 Besides minced meat, yong tau fu is also served in the Hakka Mee here – almost like a combo meal. 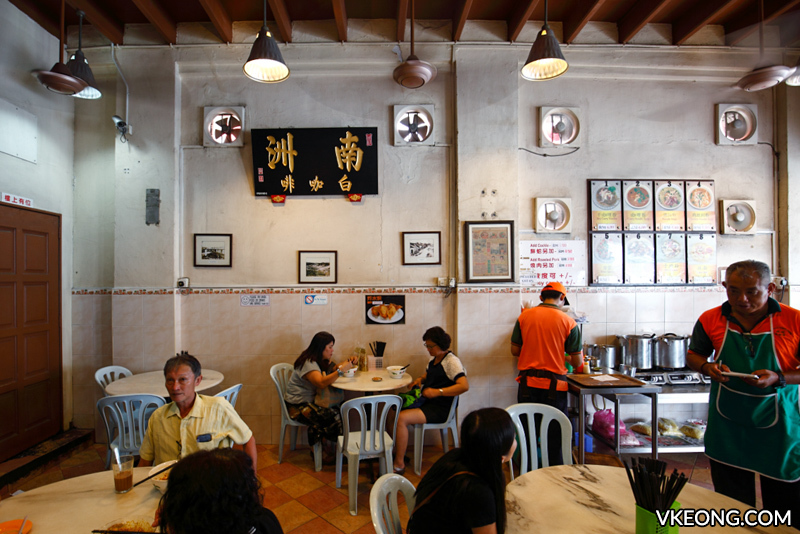 One particular yong tau fu that stood out was the fried meat balls that have a hint of salted fish. 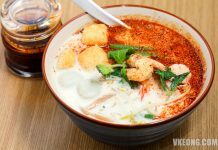 Their homemade chilli sauce is delicious as well and improves the overall taste of the noodle. 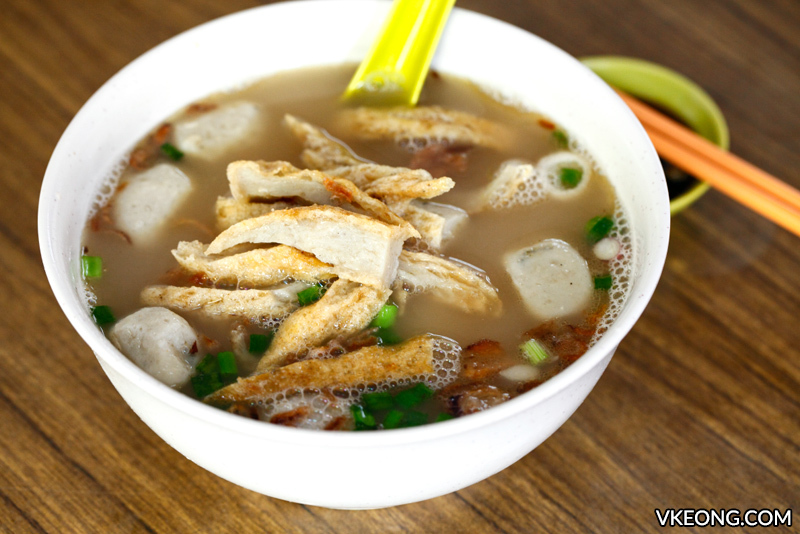 ‘Hor Hee‘ is a Teochew noodle soup served with a mix of fish cakes, fish balls and fish dumplings. 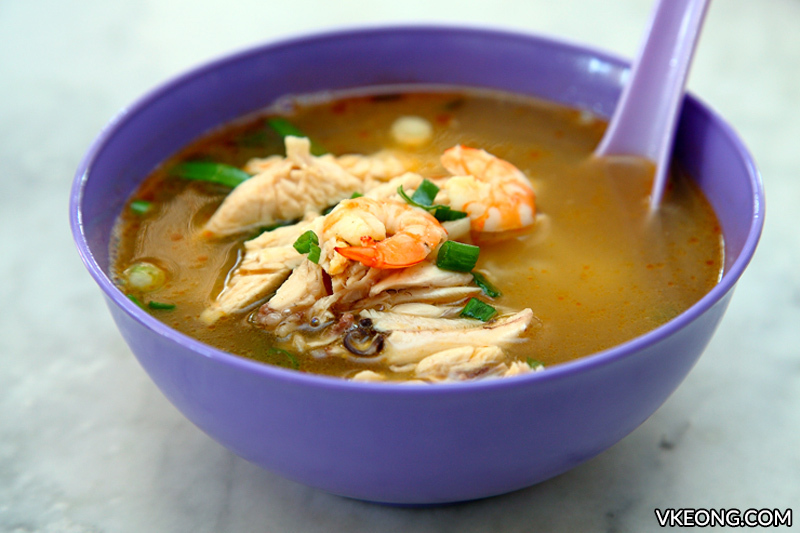 A dash of fried onion oil is added to the thick and flavorful soup to give it extra fragrance and aroma. 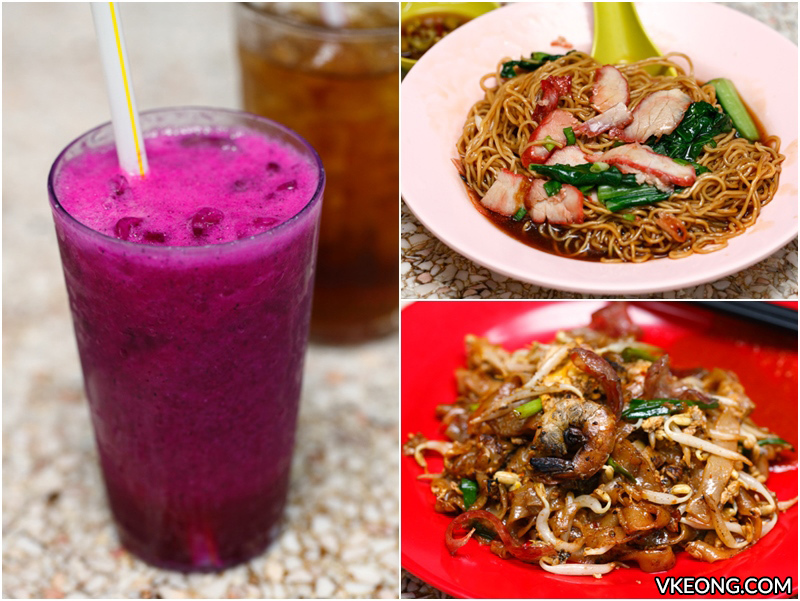 It is a fast disappearing food in Ipoh – so you need to try it before it’s gone. 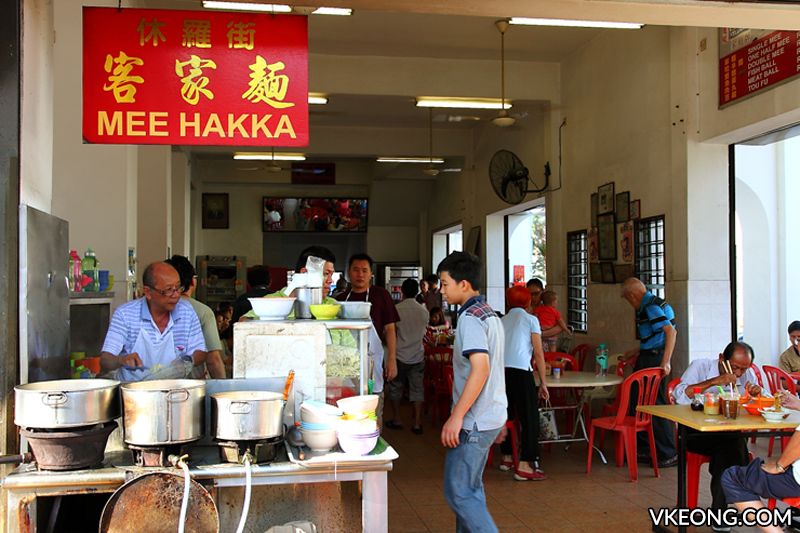 Loke Woi Kee coffee shop is your best (and most convenient) bet to enjoy this noodle. 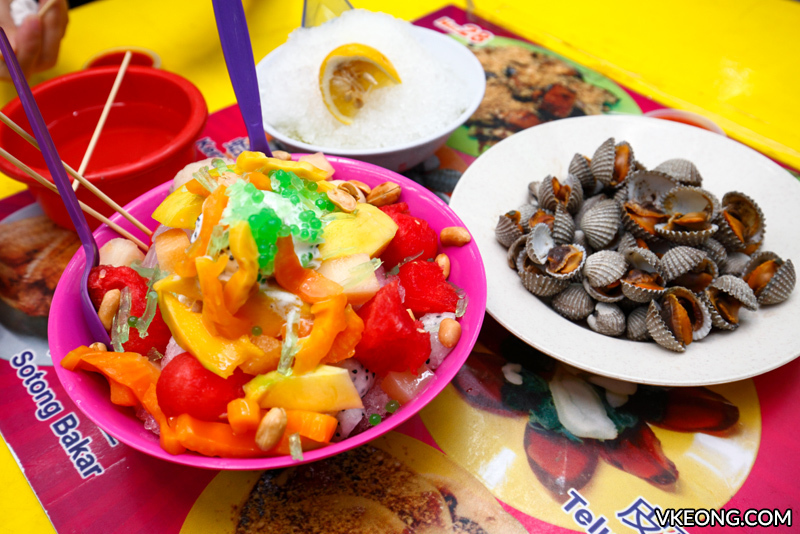 Even if you are not interested in having Hor Hee, the fruit rojak and ‘kai see sha hor fun’ here are delicious enough to make your visit worthwhile. 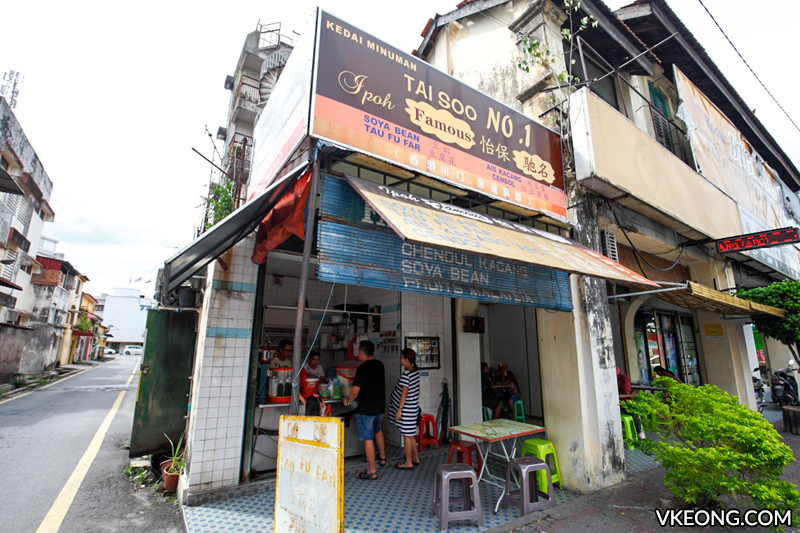 A perfect spot for tea break, Tai Soo is famous for a couple of things: Ais Kacang (ABC), tau fu fah (melt in your mouth soft) and soya bean milk. 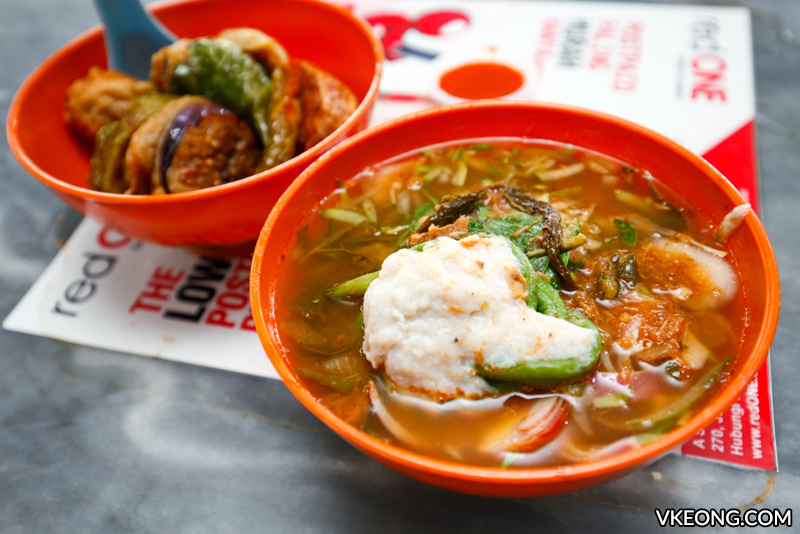 Their tau fu fah can be ordered with different toppings like cendol, glass jelly and red beans. 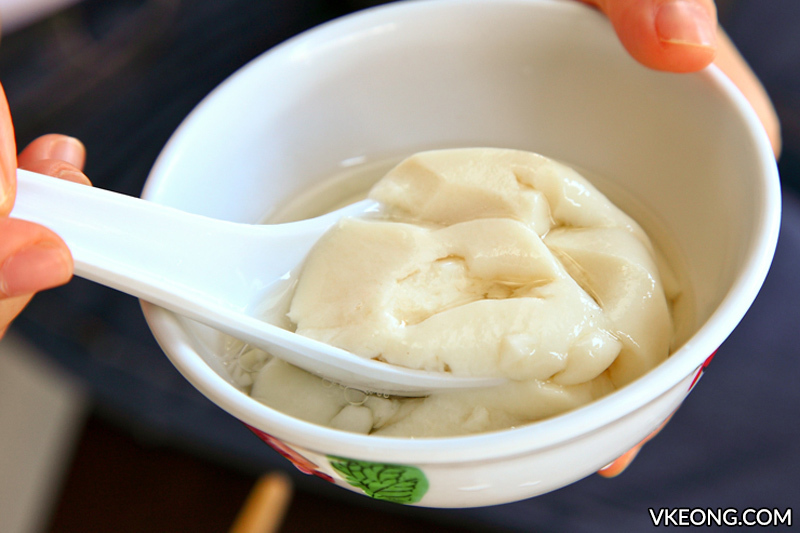 It is also recommended that you buy a bottle or two of their soya bean milk to bring home – it’s rich and absolutely delicious. 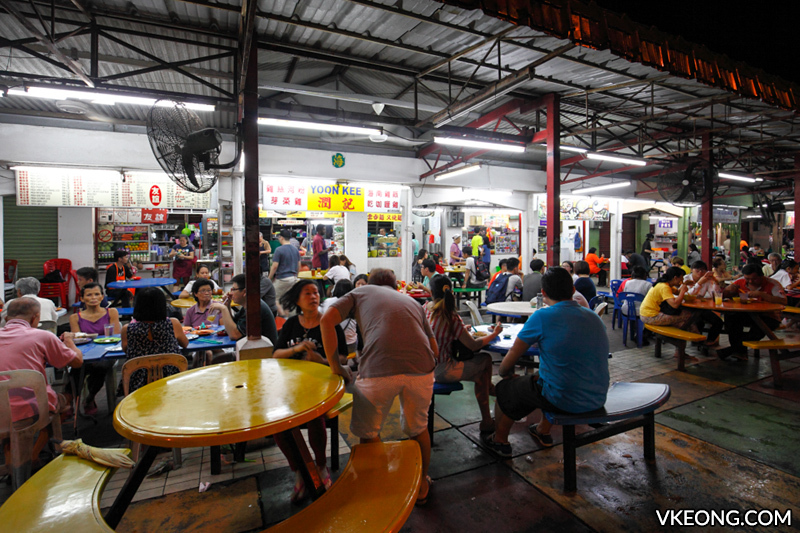 After most of the coffee shops in town have closed, locals throng this food court adjacent to the stadium for dinner and supper. 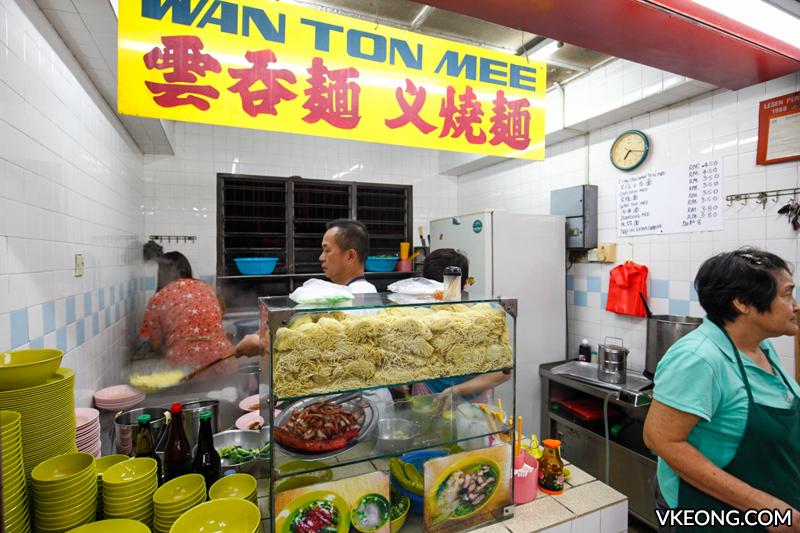 Traditional Ipoh-style wan ton mee and smoky char koay teow are clearly the favorites here, as you can see them present on almost every table. 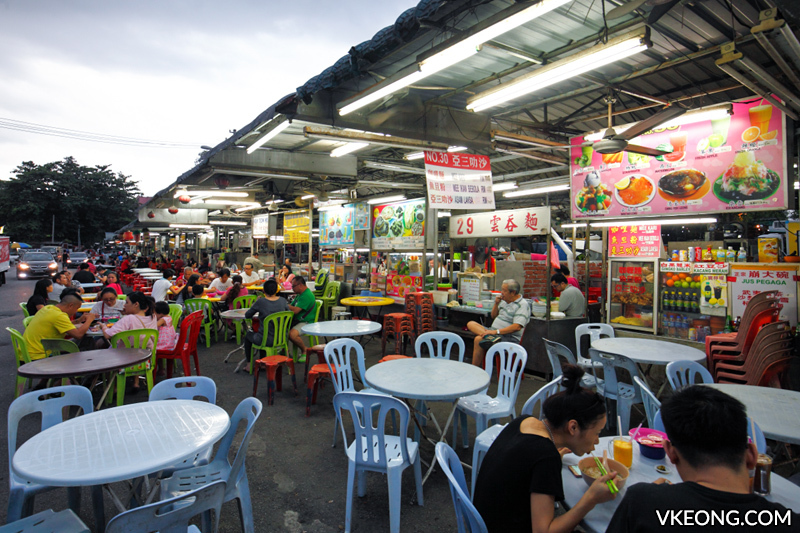 For drinks, try out the refreshing herbal drink (next to wan ton mee stal) and freshly blended fruit juices from Frankie’s stall on the far right. 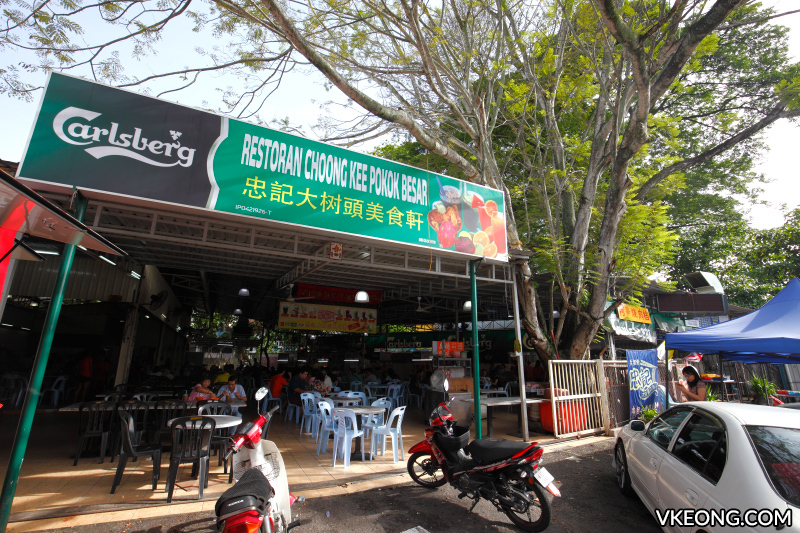 Probably what Ipoh is most famous for, beansprout chicken (nga choy kai) is commonly available – enjoyed either with rice or flat noodle. 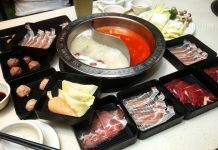 Side dishes are usually pork meat balls and stewed chicken feet. 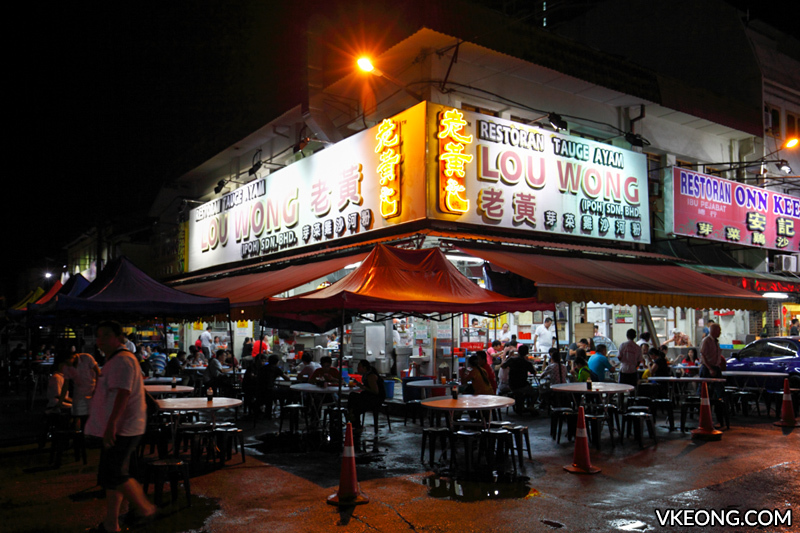 Onn Kee and Lou Wong are two of the oldest shops and both enjoy the same reputation for serving deliciously tender poached chicken. My suggestion? 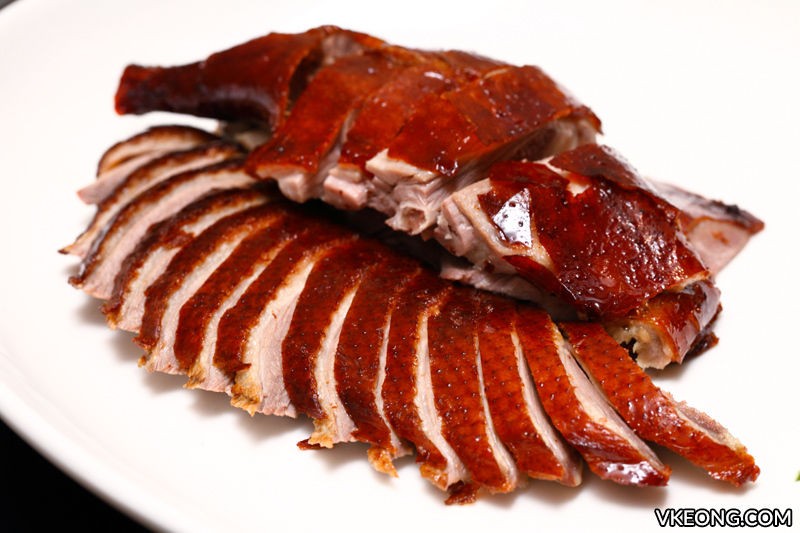 Try both by ordering a quarter chicken at each restaurant to decide which suits your taste the best. 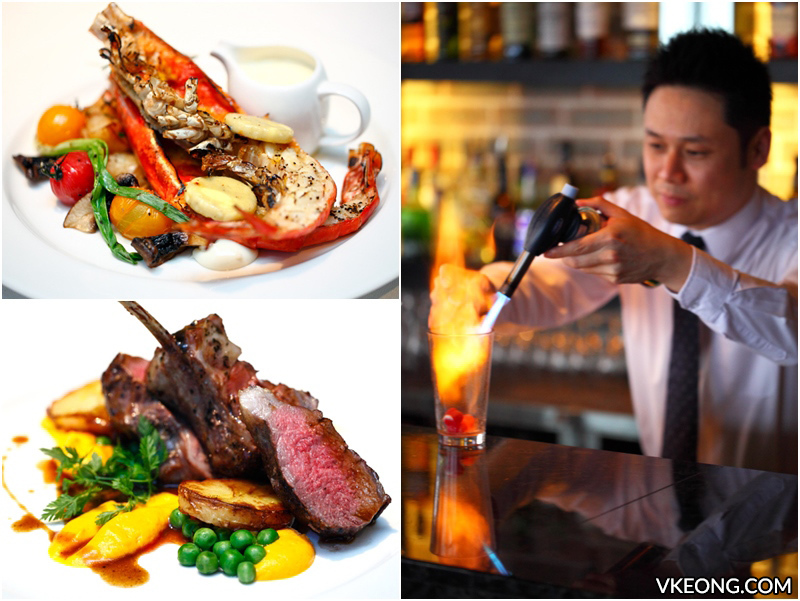 But no matter which you end up eating at, it’s quite impossible for the meal to go wrong. Best of all, you can count both of them to be open for most of the time. 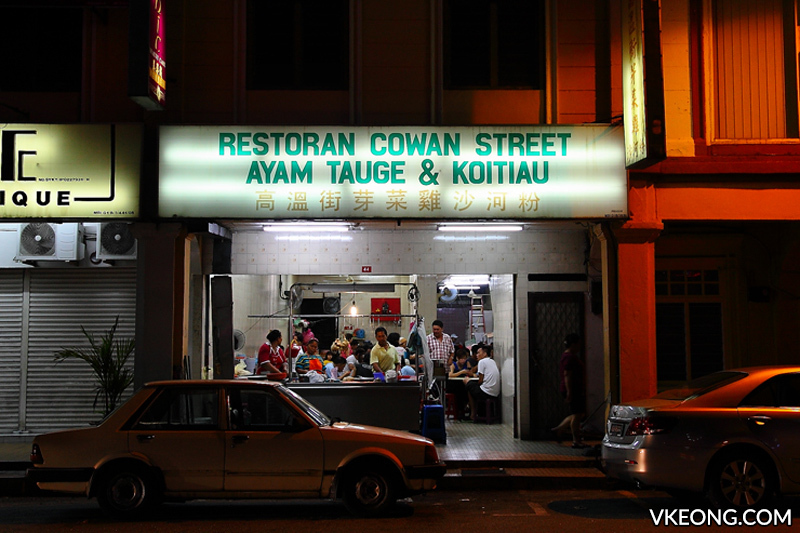 If Lou Wong and Onn Kee are the to-go places for beansprout chicken rice, then Cowan Street’s Ayam Tauge & Koitiau would be the top choice for beansprout chicken hor fun. Ordering is quick and simple. 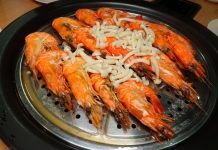 Just tell the number of portions and say ‘yes’ or ‘no’ to the side dishes such as the gizzards and chicken feet (highly recommended) when asked. 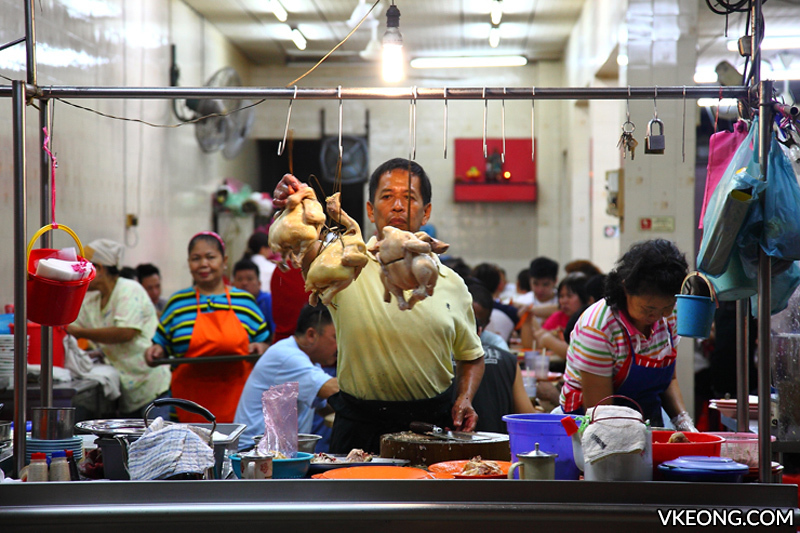 The poached chicken here is out-of-this-world tender and even the lean breast meat is nice and juicy. 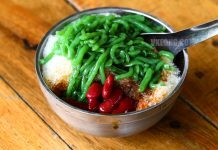 Located just a stone’s throw away from Loke Wooi Kee and Tai Soo, Deen CT Corner serves an amazing bowl of cendol with the right balance of flavors. 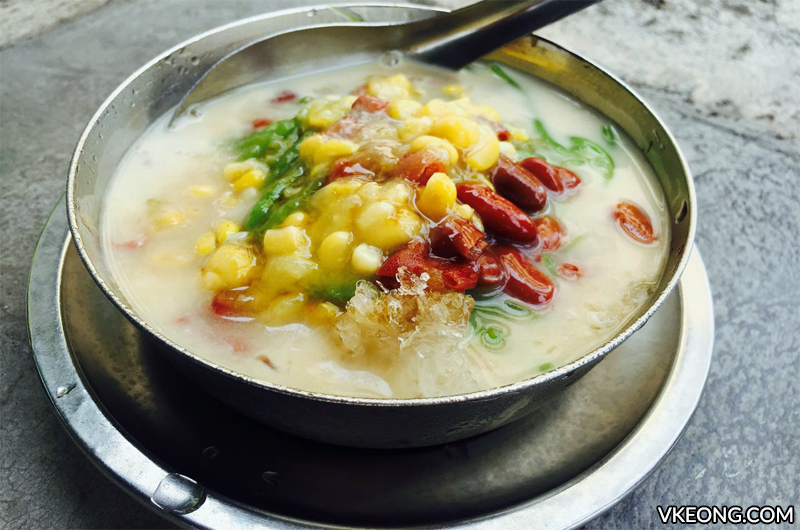 Being able to customize your cendol is a plus here, as you can have it with any toppings of your choice – such as red beans only, or red beans with sweet corn. 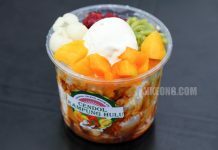 For a more filling experience, opt for the ‘pulut’ version which adds a spoonful of glutinous rice to keep you satiated longer. 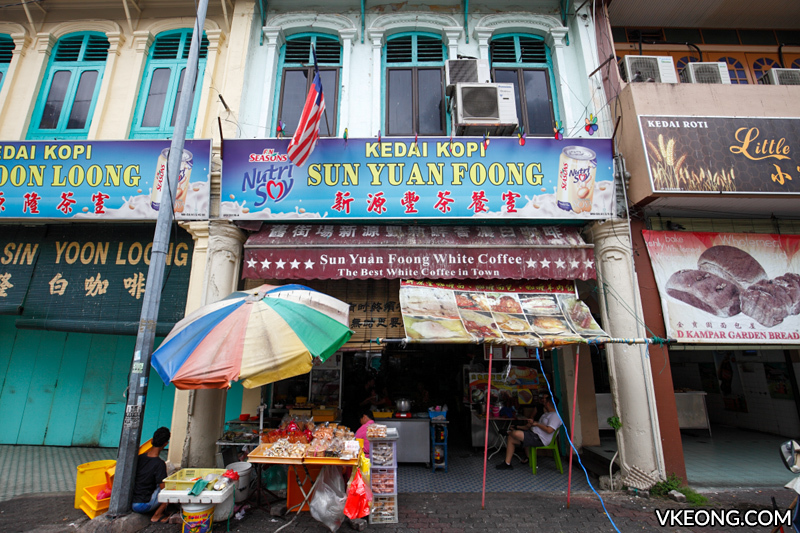 Fancy a cup of white coffee? 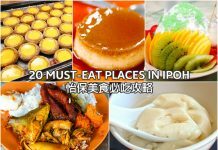 Your options are endless in Ipoh. 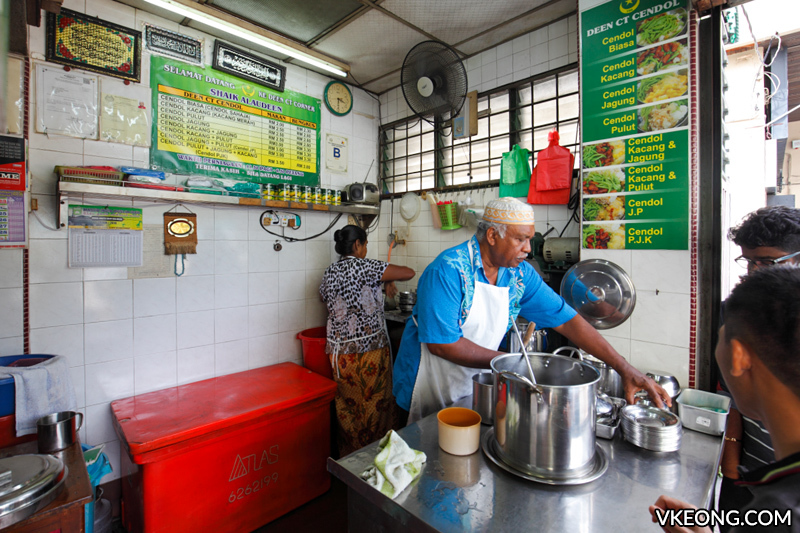 To maximize your time, drop by Jalan Bandar Timah where you will find a couple of coffee shops each serving up their own unique blend of white coffee brewed to perfection. 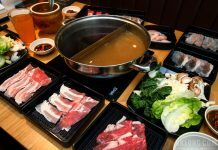 Nam Heong, Nam Chau and Sun Yuan Foong are located within walking distance from each other and all of them are great in their own ways. 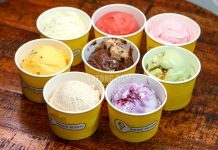 But if you only have limited time or stomach space, decision should be based on the food you want to eat. 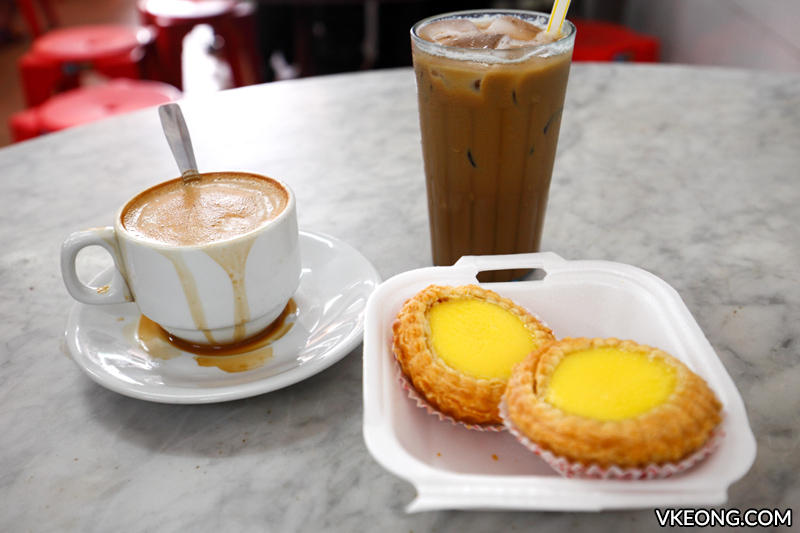 If you are hankering for egg tarts, go to Nam Heong. 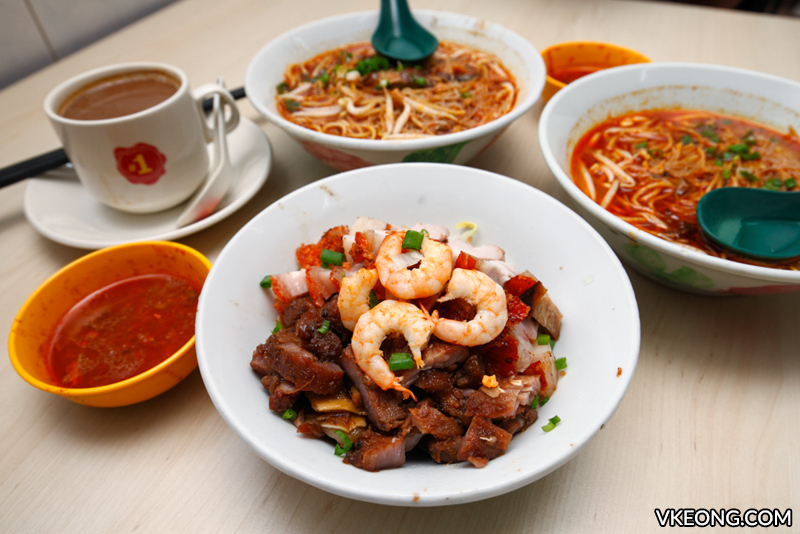 For toasts, you won’t go wrong at Sun Yuan Foong while Nam Chau is great for noodles like dry curry mee. 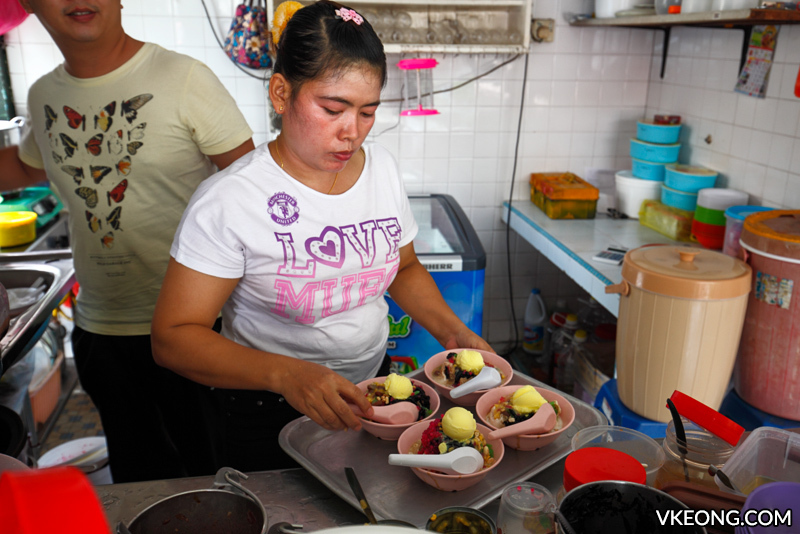 Fei Ma’s dessert stall is another hidden gem in Kampung Simee. 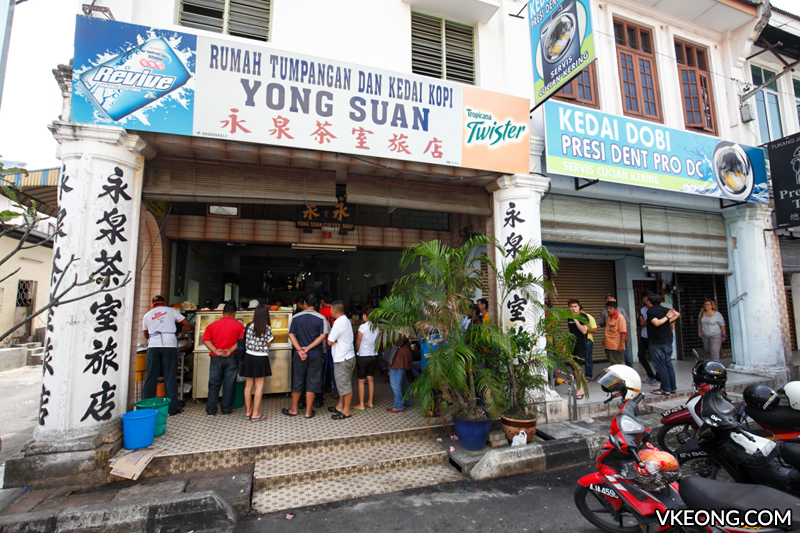 If you had to leave Ipoh by evening which means you don’t get to eat at Tong Sui Kai, then this is the place to be since it’s open from lunch onward. 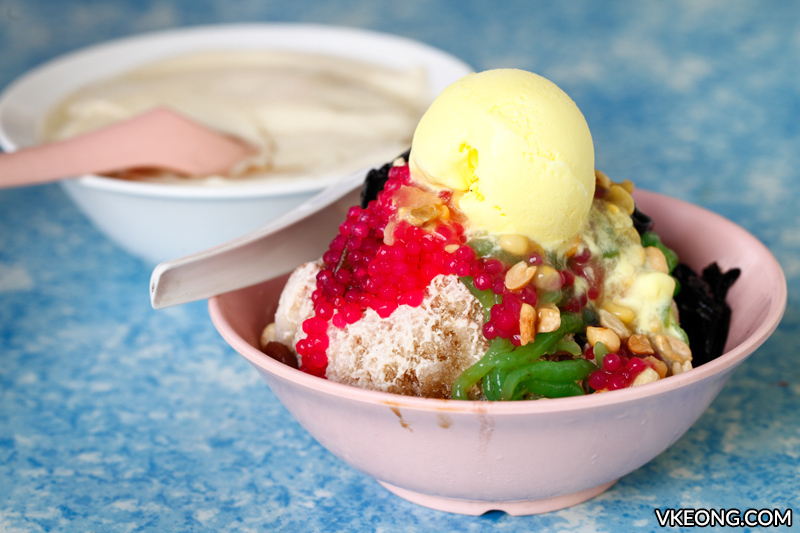 After compacting the shaved ice into shape by hand, Fei Ma starts garnishing each bowl with fruits (fresh, pickled and canned), a myriad of syrups, cendol, peanuts and jelly followed by a bath of sugar water. 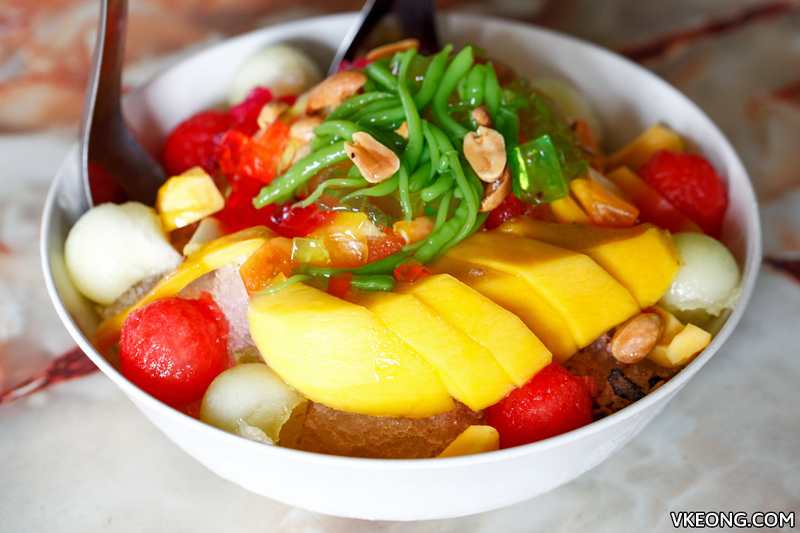 Looking at the generous amount of fruits and tedious work that go into a bowl like this, it’s hard to believe that it costs only RM4.80. The moment you take a sip of the melted ice, you will know it’s truly something special. The combination of flavors from plum, lime and lemon makes this a refreshing treat that you can enjoy guilt-free. If you are looking for a place to enjoy a (grown up) drink like the locals do, then head to Kafe Yoon Wah for snow beer. Notice the slushie-like content in the mug? 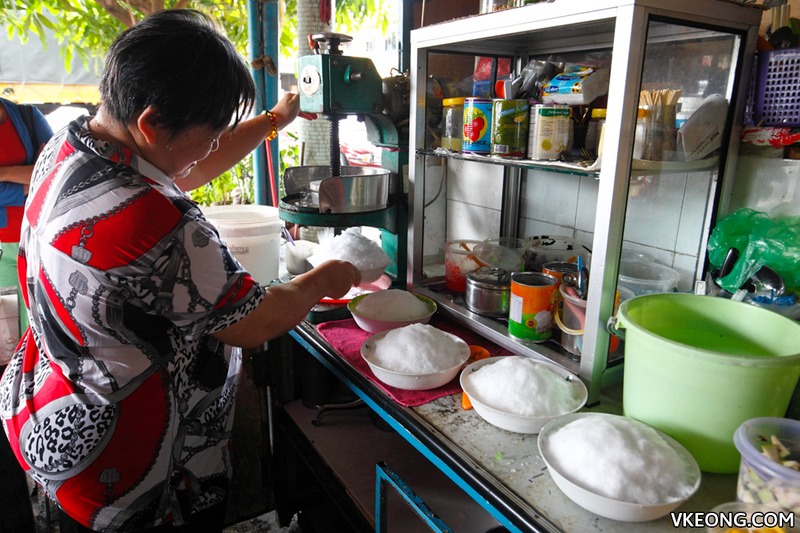 Those are actually foam that becomes crystallized when come into contact with a frozen glass. 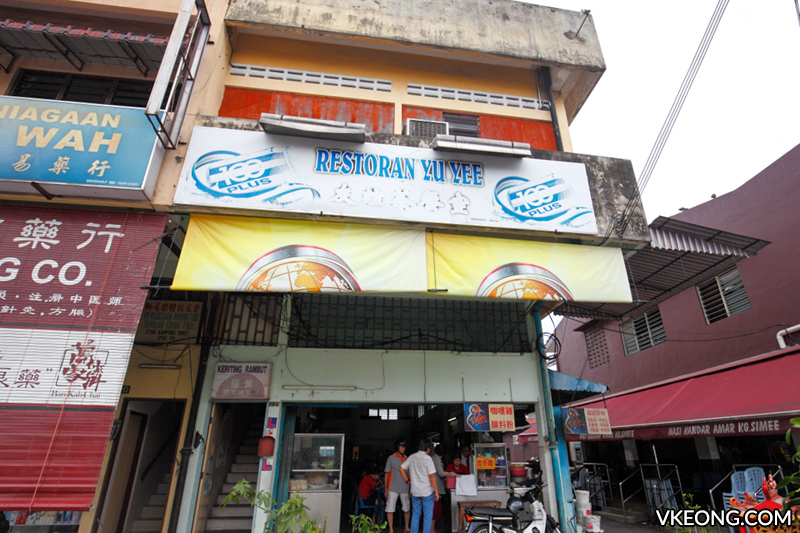 Yoon Wah is also an ideal place for dinner and they serve a good range of Chinese seafood and meat dishes to go along with the drinks. 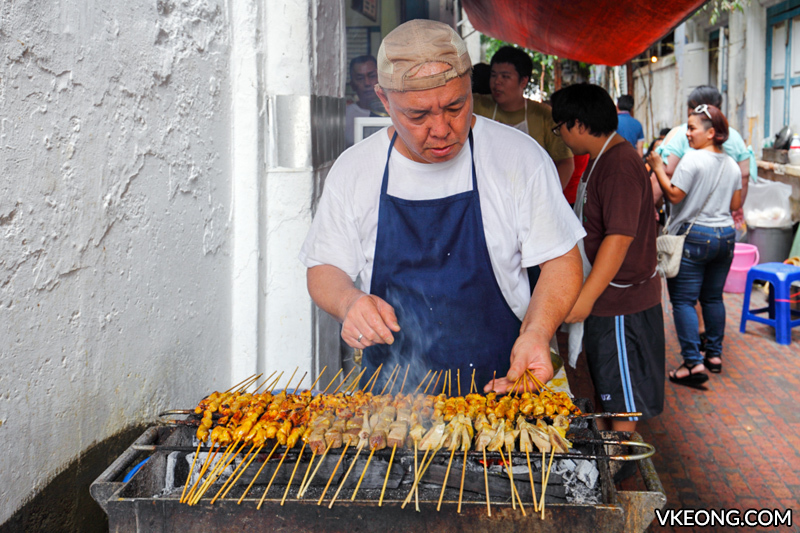 Ipoh is not all about street food. 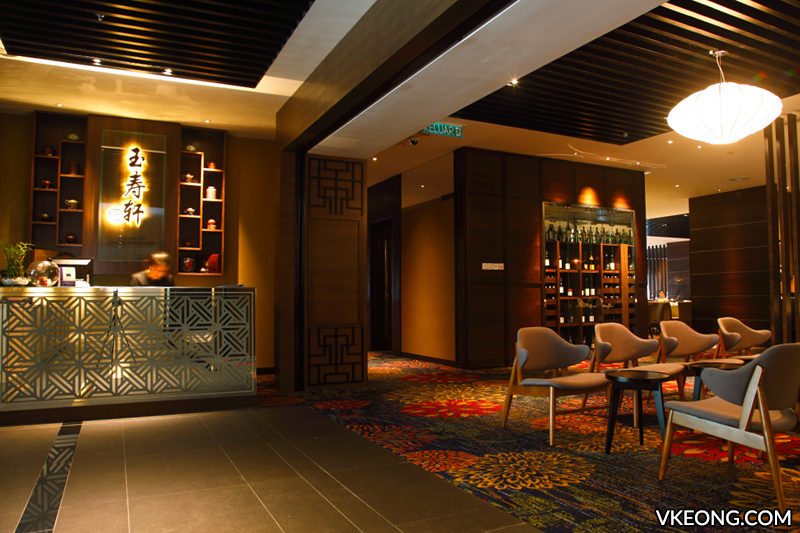 Some of the most exquisite Chinese and Western dishes I ever had were at WEIL Hotel. 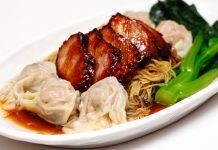 Yuk Sou Hin is popular for their signature Smoked Duck with Lychee Wood and dim sum, while The Deck Gastro Bar is a rooftop bar to enjoy great food and cocktails with an awesome night view the city. Not to mention, live band too.